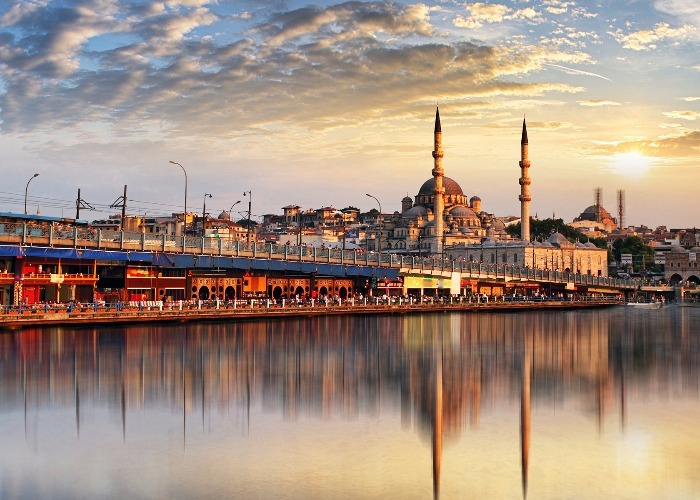 Simon Busch tells us his favourite things about the Turkish capital. 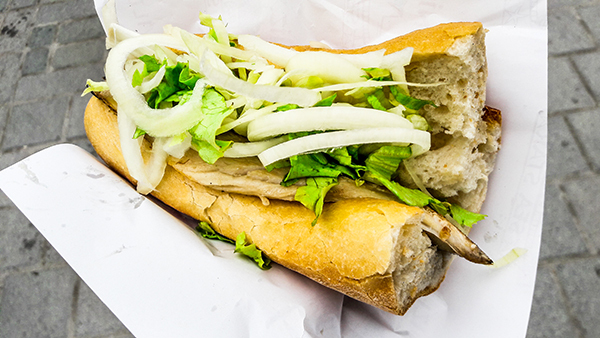 Recommending Istanbul’s far superior version of a McDonald’s Filet-o-Fish might seem an odd way to start a list of the most essential things to see and do in the city. Yet, to me – and I’m a big Istanbul fan – there’s no better way to get your spatial, cultural and culinary bearings in this, one of the world’s greatest metropolises, than to head straight for the banks of the Bosphorus near the famed Galata Bridge. There, if you time your arrival right (noon is best), you’ll find a cluster of gaudy little fishing boats pulled up by the quay, where crew members-come-chefs grill their fresh catch right on deck as they bob up and down in the tidal slap. They’ll plonk the nicely charcoal-fringed result in a tear of crusty bread with some salad and a squeeze of lemon and hand it over for just 10 Turkish lira (around £2). Istanbul has its fair share of bazaars, but there is none more impressive than the Grand Bazaar, a vast and varied covered market. The great proto-mall divided into sections flogging jewellery, carpets, furniture, leather goods, clothes and antiques is one of the world’s most-visited sights. A reputed quarter of a million people stride the 60-plus alleyways of the bazaar each day – and therein lies the rub. With that many potential customers, not a few on the credulous side, stallholders lack much incentive to strike a decent bargain. So here’s the secret of the Grand Bazaar: if you’re at all serious about buying a gold bracelet, say, or handwoven rug – among Turkey’s many consumer delights – window-shop at the Grand Bazaar but don’t necessarily shop there. 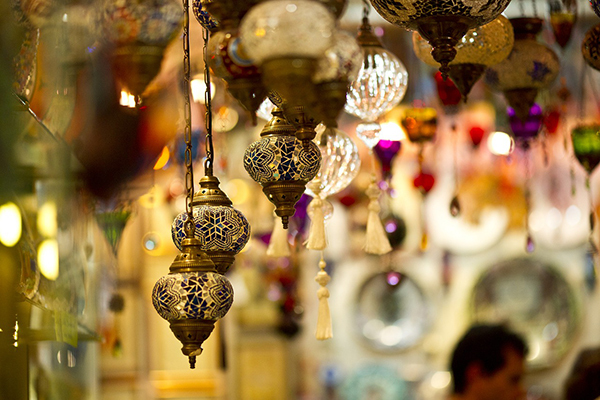 Browse the bazaar for its fantastically exhaustive range but try buying elsewhere. Do your research before you come and then trek to Cagaloglu or Eminonu for carpets, for example, or Nisantası for jewellery. Smoking a waterpipe – nargile (nahr-gee-leh) is the Turkish version – is, like baking honey-and-nut-based desserts, one of the Islamic world’s greatest customs and one that’s reached a state of possibly peerless refinement in Istanbul. There’s a nargile tobacco flavour (you can also now get nicotine-less mixes) to suit most people, from the classic apple, through mint and even a supposed cappuccino, and the vibe of the Istanbul smoking venue is quite finely calibrated to the customer. Representing extremes of the nargile-smoking experience, Karakoy contains some of the swishest modern joints while the working-class neighbourhoods west of Galata Bridge have some of the most traditional. 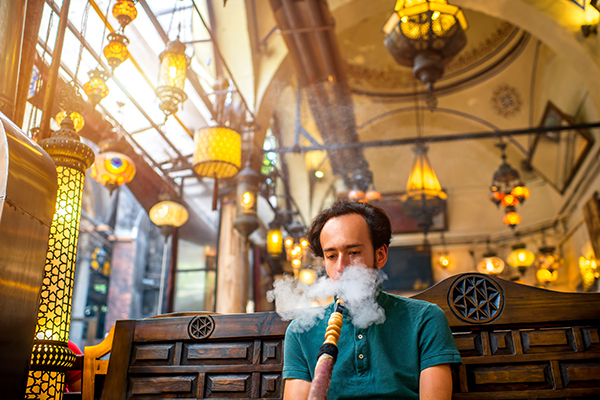 Tophane – also known as “Nargile Central” – has a veritable tobacco tray of hubbly-bubbly options within a walkable area. 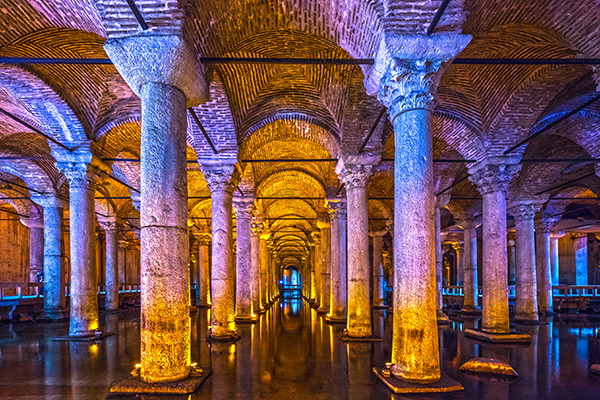 It might seem an odd attraction to note, but Istanbul’s Basilica Cistern in Sultanahmet is a stunning reminder of the Roman genius. Built by Emperor Justinian in 532 AD, it was constructed with the kind of symmetry and structural grace sadly lacking from your average municipal water supply system of today. Its vaulted ceiling is held up by 336 ornate columns. With a capacity of 80,000 cubic metres of water originally piped via aqueducts from the Black Sea 12 miles away, it was meant to service the emperors’ palace of the day. When the palace moved, the imperial cistern was forgotten about for around a thousand years until an amateur archaeologist, inspired by locals’ tales of fishing and drawing water through their basements, rediscovered it. Istanbul authorities finally renovated it in 1985. One of the most striking things about the cistern, apart from the chunky carp swirling about beneath the walkways, is the way its early builders pragmatically reused all sorts of ancient materials in its construction. Boulder-sized upside-down Medusa heads with creepy goggle eyes, for example, support some of the principle pillars. It would be an invidious task ranking mosques worldwide in terms of splendour, given Islamic architecture’s impressive facility at inducing awe. 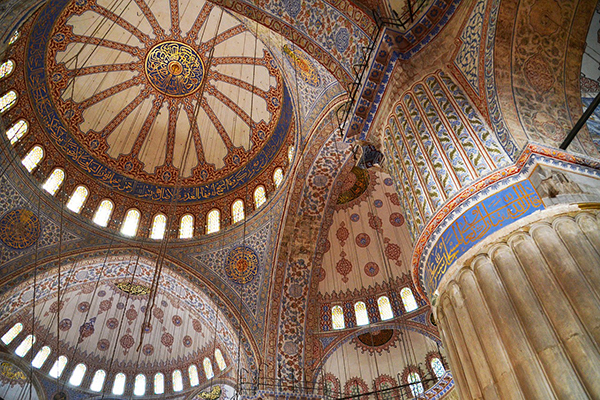 But few places of worship could induce quite as many oohs as Istanbul’s Blue Mosque. A project of the first Sultan Ahmed in the early 17th century, its storied interior curves are bedecked with countless shimmering blue Iznik tiles and interspersed with elegant arched windows. And so to dessert. Baklava may have spread as far as the Caucasus, Central Asia and North Africa but its origins are probably Turkish (a sultan is thought to have fed the sweet to his fearsome Janissary warriors) and any fan of the delicacy really should make a pilgrimage to the country and, specifically, Istanbul. Competition is stiff among the city’s baklavacıs – baklava joints – but rated venues include Karakoy Gulluoglu and Pare Baklava, supposedly Turkey’s first baklava bar. A signature dish from the latter is katmer: flaky pastry filled with pistachio and clotted cream, cooked to order and brought steaming to your table.